Growth. Performance. Managing risk. However you define it, success in today’s global and digital age means addressing increasingly complex issues faster and more efficiently amid rapid change. Making the right decisions in this environment requires strategic counsel from an adviser who not only knows how laws are evolving in jurisdictions around the world, but also has a deep understanding of your particular industry. This is Goodwin. At Goodwin, we use law to achieve unprecedented results for our clients. Our 1,000 plus lawyers across the United States, Europe, and Asia excel at complex transactions, high-stakes litigations and world-class advisory services in the financial, life sciences, private equity, real estate, and technology industries. We partner with our clients to practice law with integrity, ingenuity, agility and ambition. 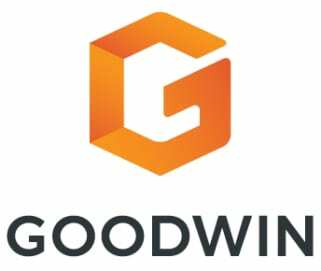 To learn more, visit us at www.goodwinlaw.com and follow us on Twitter at@goodwinlaw and on LinkedIn.